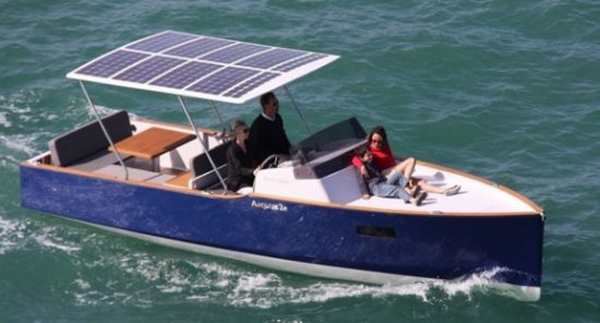 A quiet, environmentally-friendly family pleasure-boat, with all the bells and whistles: that’s the Aequus 7.0 solar-electric boat, which makes use of solar panels integrated into a retractable shade canopy to provide “full steam ahead” on green cruising. On a sunny day, the boat makes direct use of the solar energy generated by its shade structure (which will also conveniently protect you and your guests from the vagaries of sunburn). If the sky clouds over, though, not to worry; this boat features onboard AGM lead acid batteries to provide up to 8 hours of cruising time without the solar assist. 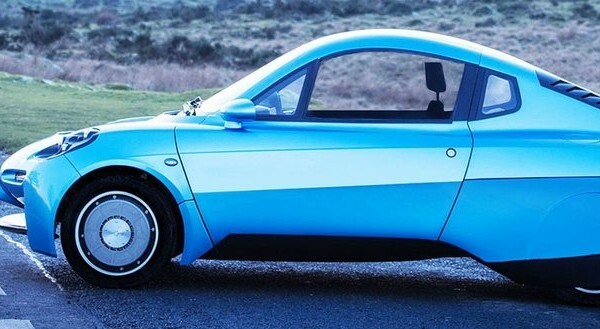 According to Ecofriend, this boat was developed by Aequus after testing some 18 hull designs in a digital wave tank. Featuring double berths, accommodations for up to seven people, as well as a refrigerator, shower and a fully functional toilet with waste water tank, roughing it this is not–the basic configuration of the Aequus 7.0 will run you about $70,607, and if you’re ready to spend more, the boat can be customized to add a teak cockpit floor, additional batteries, electric windlass and a custom trailer. Still, when it comes to eco-luxury on the high seas, why not go for the gusto?